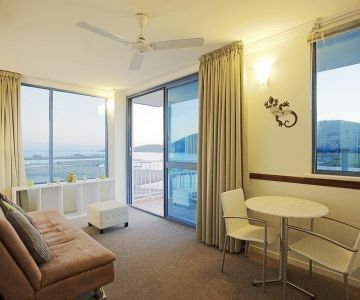 at Whitsunday Vista Holiday Apartments offers the very best holiday accommodation Airlie Beach has to offer, with a range of one and two bedroom, self-contained apartments all with stunning views of the Coral Sea from your own private balcony. 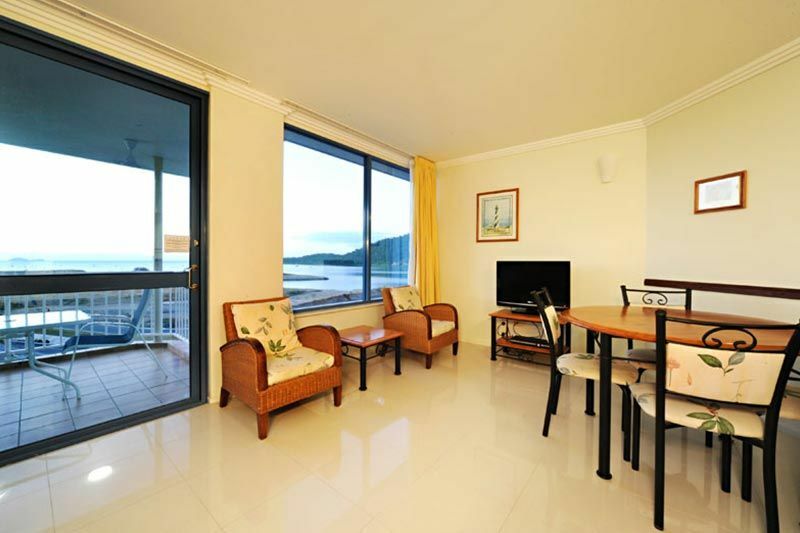 Our holiday accommodation in Airlie Beach is comfortable with everything you need for a great holiday, there are four different types of accommodation to suit everyone’s needs. All have kitchen facilities so you can self-cater when you wish and either a bath or spa to really relax you after a big day’s sightseeing. 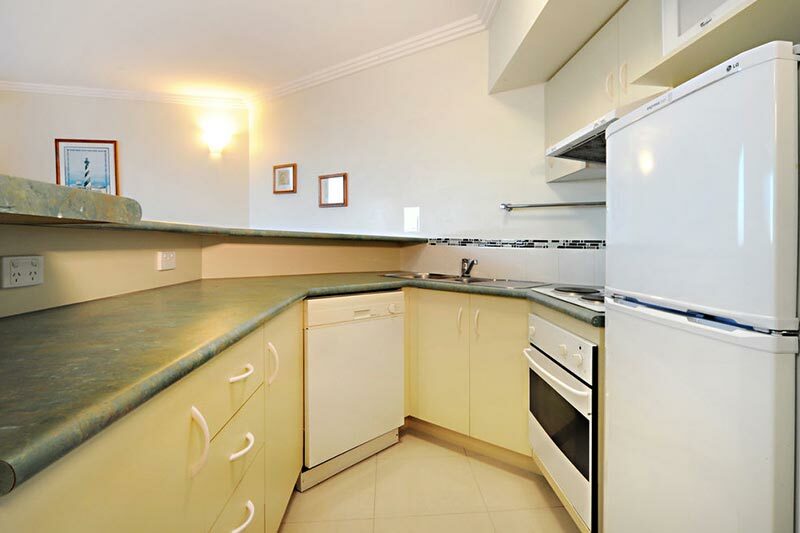 Looking for the most spacious budget accommodation Airlie Beach has on offer? 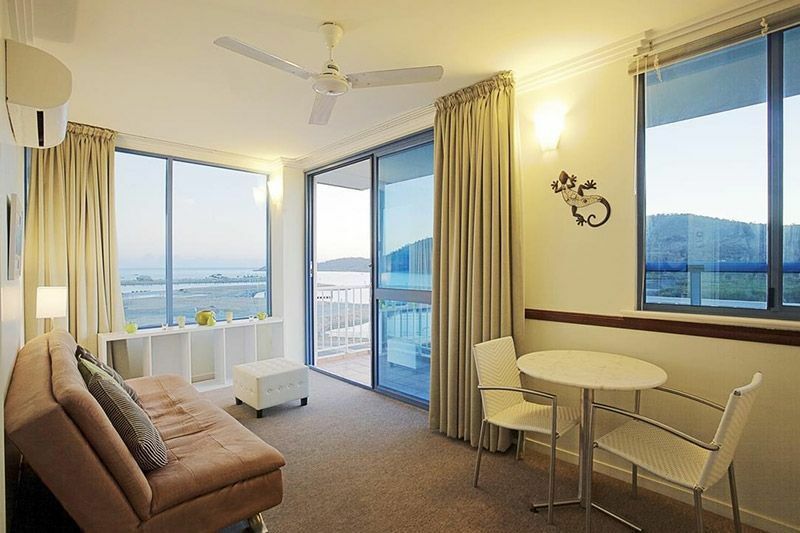 The one-bedroom apartment is a great option when you want a comfortable place to base yourself in the Whitsundays. The separate bedroom ensures maximum privacy while the bathroom, complete with a full-size bath, is a relaxing haven after a long day’s sightseeing. A fully equipped kitchen, including an oven and everything required for a meal, means you can self-cater as much – or as little – as you like. Everyone needs space – especially on holiday! 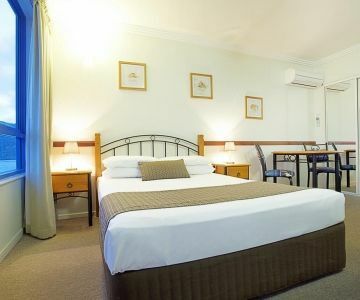 Two self-contained bedrooms means there is plenty of room for the kids and plenty of privacy for mum and dad, making it the most comfortable family accommodation Airlie Beach has to offer. 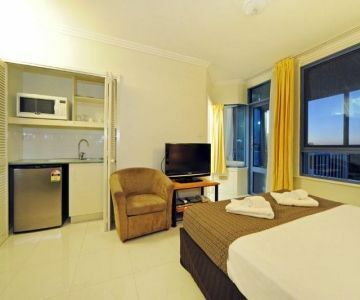 The two-bedroom apartments are also perfect for friends sharing a holiday or a weekend together. 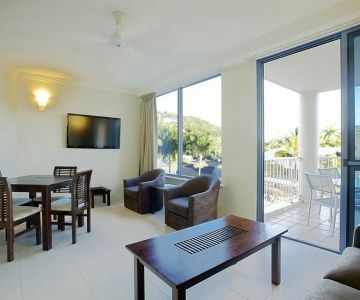 Enjoy a pre-dinner drink on your private balcony overlooking the Coral Sea as the sun sets and soak in the spectacular surroundings on offer at your family accommodation in Airlie Beach. 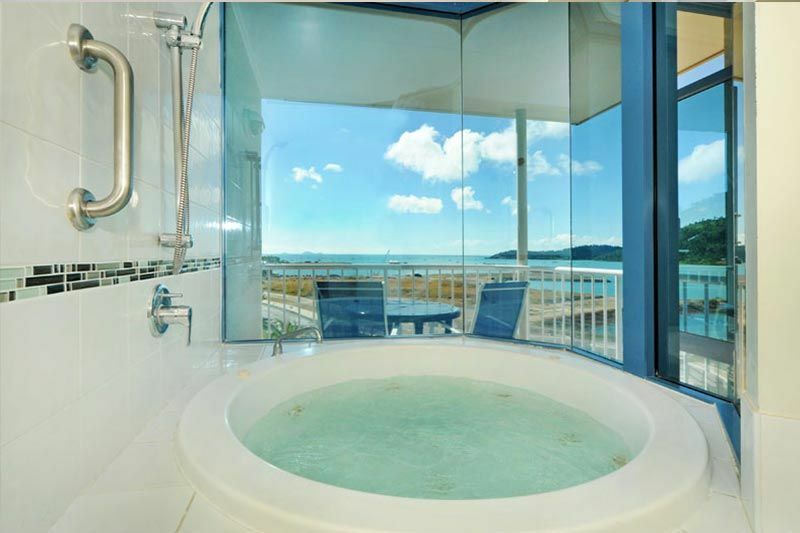 Our Bay View Spa Suites are perfect for couples looking for a romantic getaway. Sip chilled champagne on your private balcony enjoying stunning views of the Coral Sea. All suites come with a fridge and a kitchenette stocked with essential kitchen items so there’s no need to even go out of your room when you stay in our Bay View Spa Suite! And when the sun goes down enjoy one of the most romantic spas you will ever have to a backdrop of twinkling stars and moonlight thanks to the glass walls in the bathroom. And you don’t even have to get out of bed in the morning to enjoy those stunning Whitsunday views! 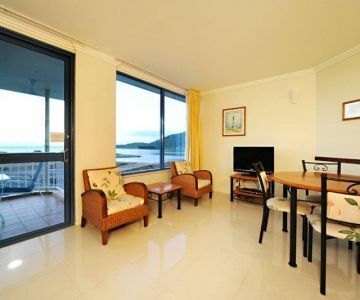 Are you a busy professional who wants somewhere comfortable, friendly and affordable to stay in the Whitsundays? Our Executive Suites are perfect for guests who want to be close to everything but also need somewhere quiet to rest and catch up on work. 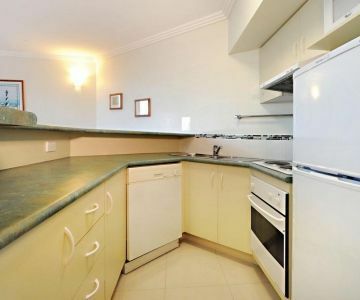 They are comfortable and have everything you need, including a kitchenette stocked with all the essential kitchen items, offering all the amenities you expect from superior budget accommodation in Airlie Beach. 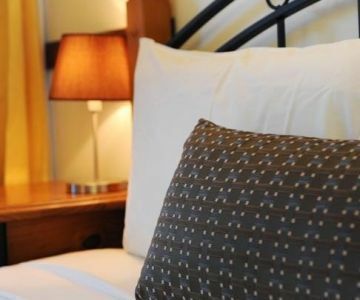 All suites come with a spa to really relax you after a long day’s work and a separate bedroom ensures a good night’s rest. And if you are on a different time zone and having trouble sleeping, we have in-house movies and Satellite/Cable TV.